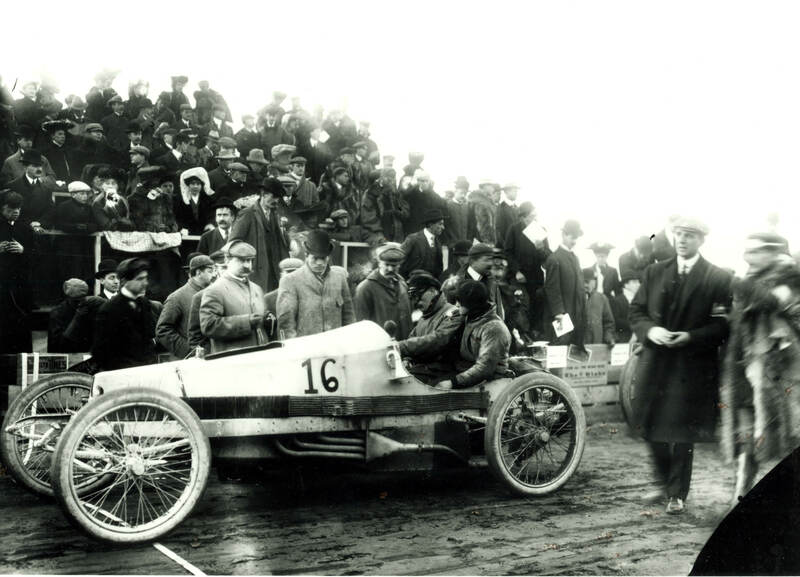 Eighteen racers participated in the first Vanderbilt Cup Race held on October 8, 1904. Photos of 17 of the 18 entrants at the Westbury starting line on Jericho Turnpike are shown here for the first time ever. 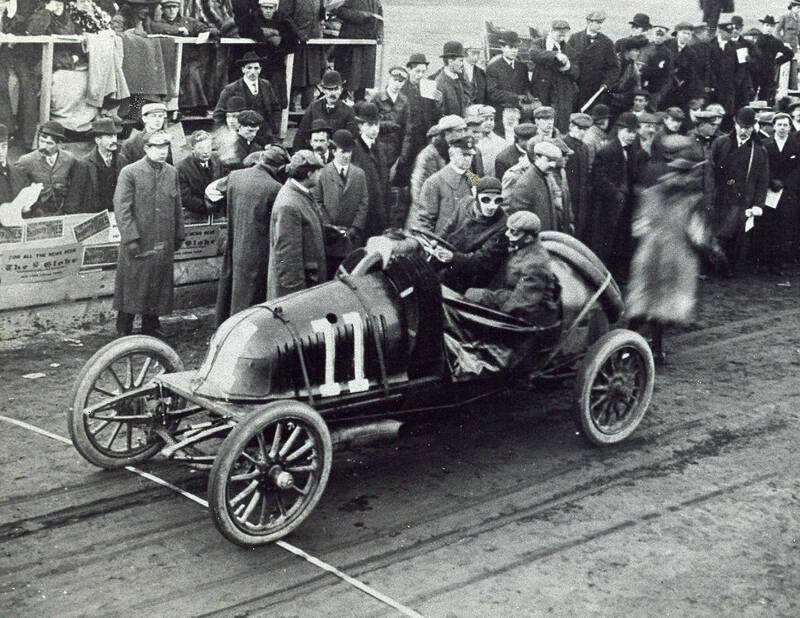 The #10 Fiat arrived late at the starting line and began with a running start. 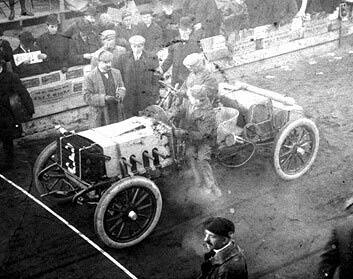 #1 Mercedes (Germany) driven by Albert Campbell, 60 HP. Finished 5th- Running in Hicksville when race was called. Averaged 35 mph. Referee William K. Vanderbilt, Jr. can be seen in the lower right corner wearing a fur coat. 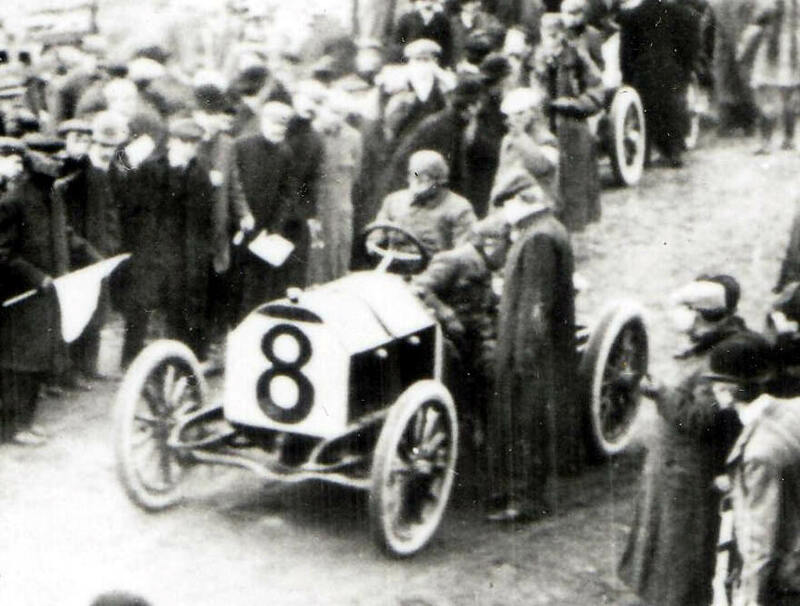 #2 De Dietrich (France) by Fernand Gabriel, 80 HP. Finished 8th-Retired in Hicksville with broken pump and frozen carburetor during lap 7. 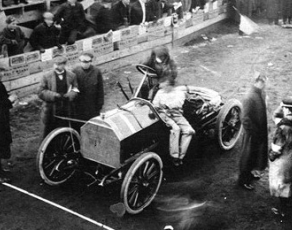 #3 Royal Tourist (USA) driven by Joe Tracy, 35 HP. Finished 13th. Crack cylinder and crankcase on Bethpage Road during lap 2. 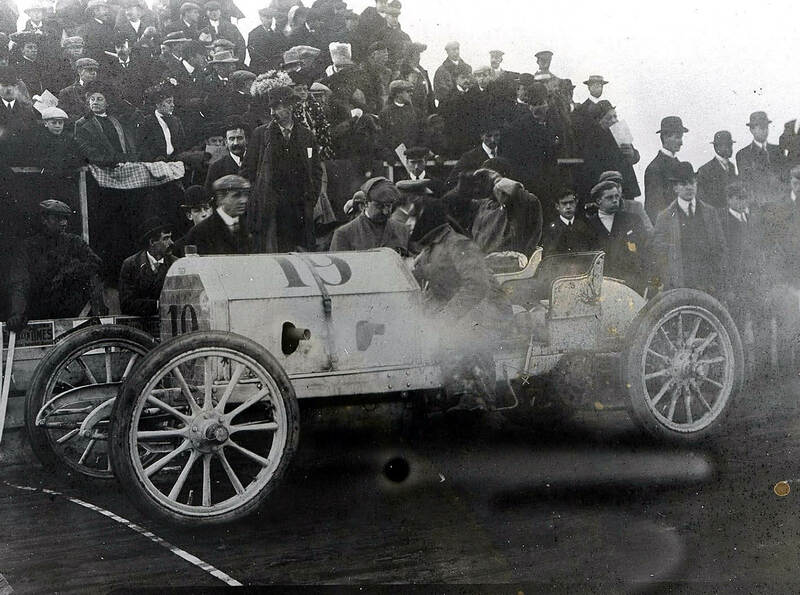 #4 Pope-Toledo (USA) driven by A.C.Webb, 60 HP. Finished 10th. Broke steering knuckle near Westbury grandstand duing lap 6. 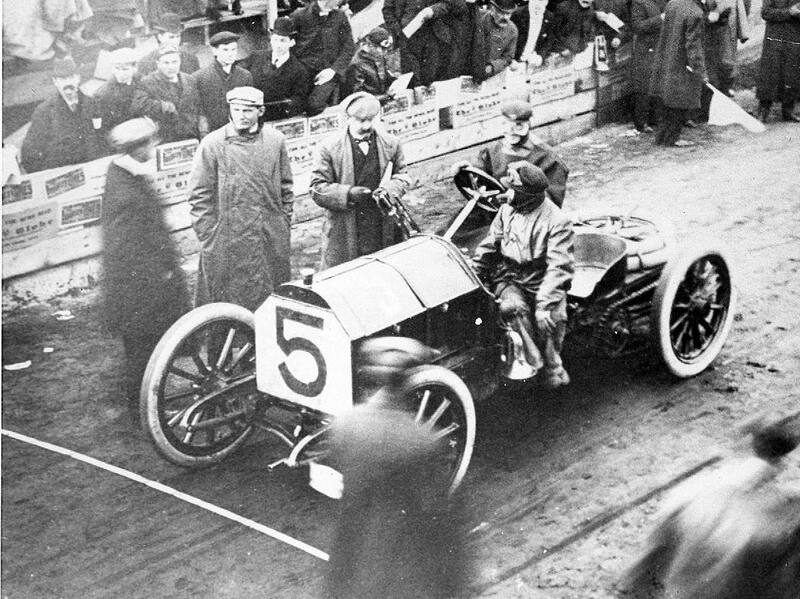 #5 Mercedes (Germany) driven by George Arents, Jr., 60 HP. Finished 14th. 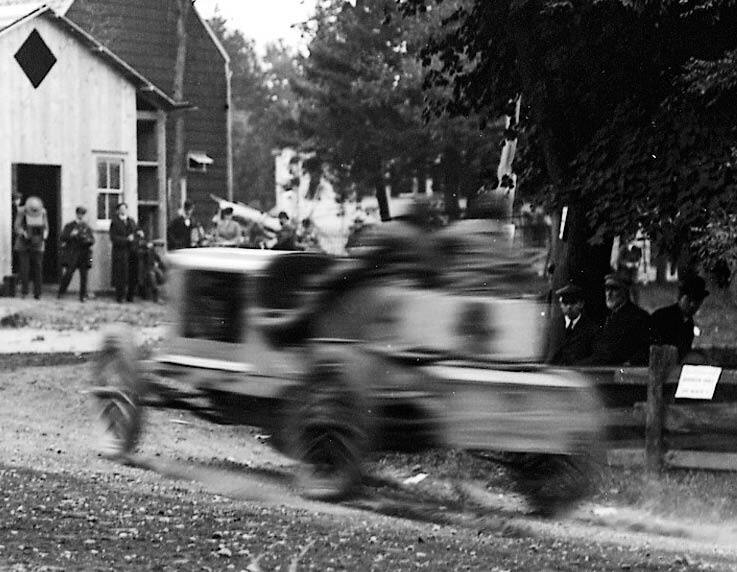 Overturned in Elmont killing mechanician Carl Mensel during lap 2. 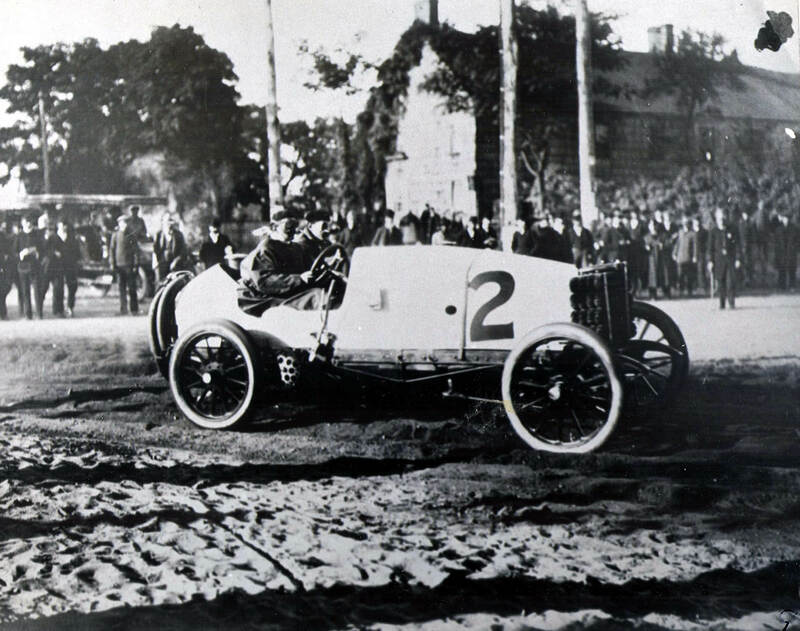 #6 Pope-Toledo (USA) driven by Herb Lytle, 24 HP. Finished 3rd. Running in Jericho when race called. Averaged 40 mph. 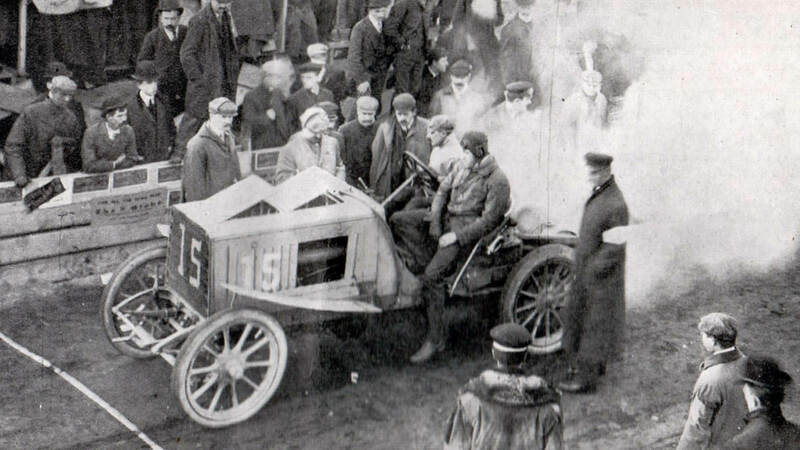 #7 Panhard (France) by George Heath, 90 HP. Finished 1st. Won by 1 minute and 28 seconds. Averaged 52.2 mph. 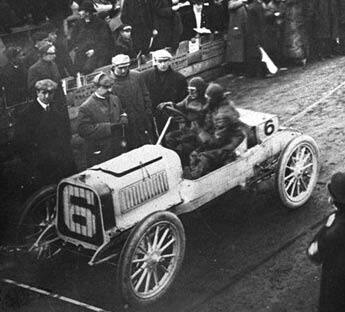 #8 Mercedes (Germany) driven by Edward Hawley, 90 HP. Finished 11th. Broke both front springs near Westbury grandstand during lap 5. 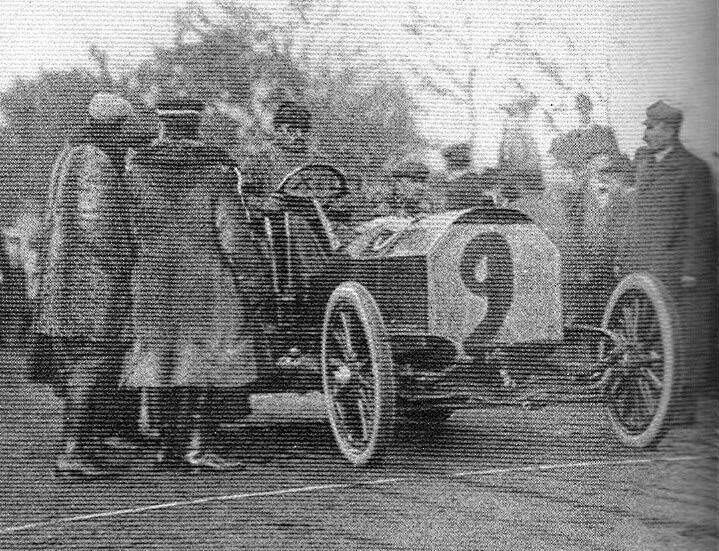 #9 Mercedes (Germany) driven by Wilhelm Werner, 90 HP. Finished 15th. Broke cylinder at Mineola RR crossing on Jericho Turnpike during lap 2. Willie K's back was to the photographer. 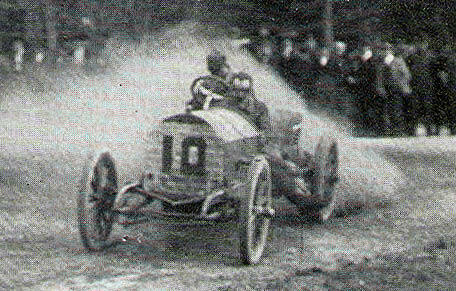 #10 Fiat (Italy) driven by Paul Sartori, 90 HP. Finished 16th. Car arrived late, never appeared at the startling line and was penalized over 2 hours. Defective clutch in Hempstead during lap 2. 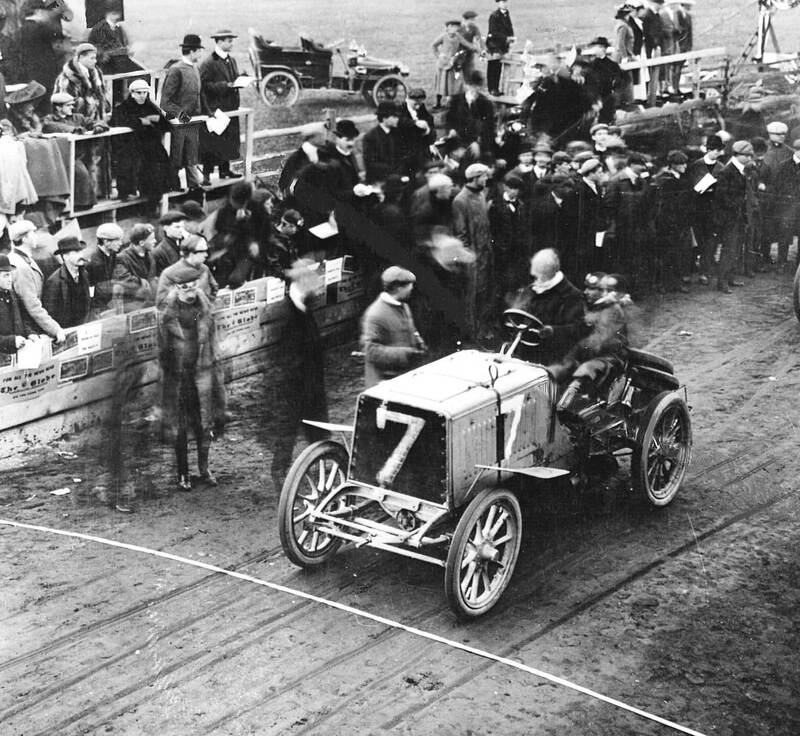 #11 Renault (France) driven by Maurice Bernin, 60 HP. Finished 17th. Twisted shaft at Bethpage Road during lap 2. 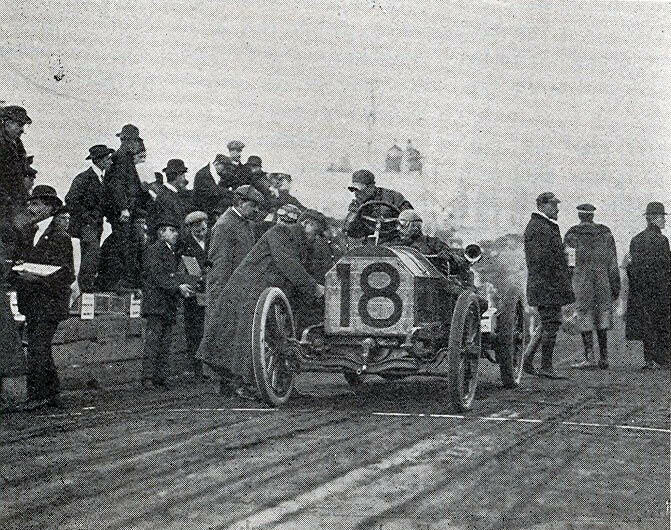 #12 Clement-Bayard (France) driven by Albert Clement, Jr. 80 HP. Finished 2nd. Unsuccessfully protested race. Averaged 52 mph. 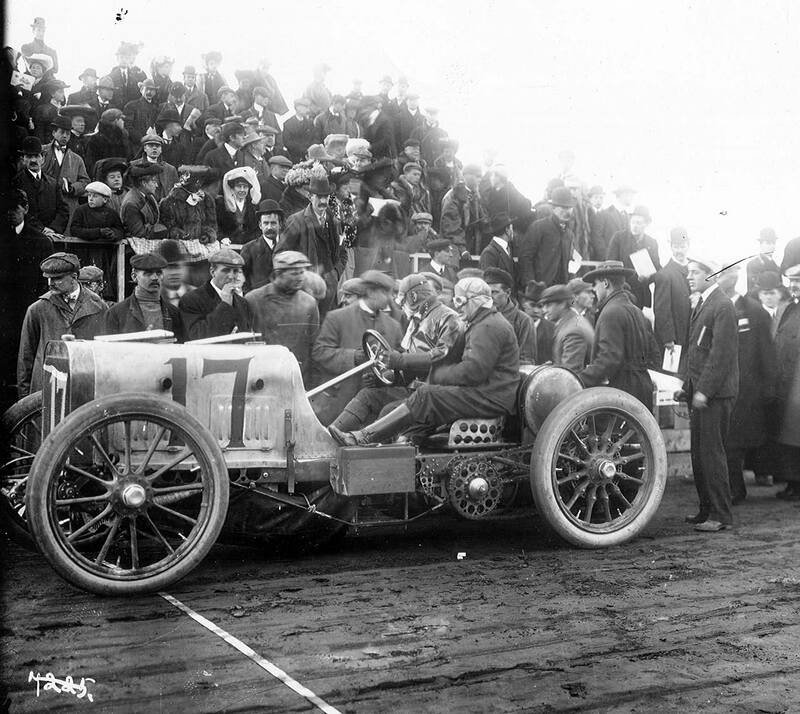 #16 Packard "Gray Wolf" (USA) to be driven by Charles Schmidt. 30 HP. Finished 4th. Running in Westbury when race called. Averaged 39.0 mph. #18 Mercedes (Germany) driven by William Luttgen. 60 HP. Finished 7th. Running in near grandstand when race was stopped. Averaged 39.1mph. 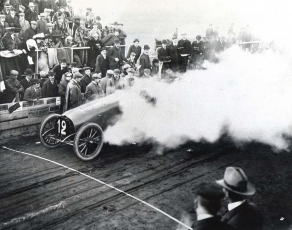 Many of these cars can be seen in the American Mutoscope & Biograph film of the 1904 race. Not sure if anyone will get/see this, but I have a question. There is a 1911 set of auto drivers cards. One of the cards is someone named “Demoget” and the card back states that he won fourth place in the 1904 event. Does anyone happen to know anything of this man? 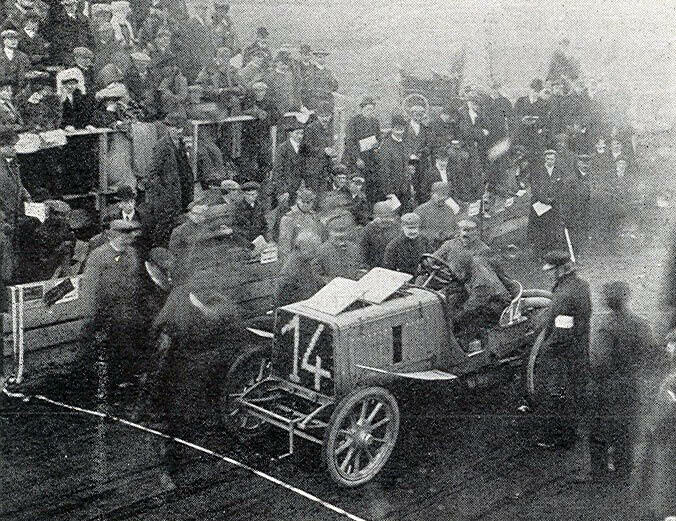 Kin, Victor Demegeot was the mechanician for Victor Hemery’s Darracq that won the 1905 Vanderbilt Cup Race.